The recent UN Intergovernmental Panel on Climate Change report has highlighted the critical importance of urgently reducing carbon emissions. However, when retrofitting existing buildings to improve energy efficiency, getting the required insulation, airtightness and ventilation measures right can be complex. 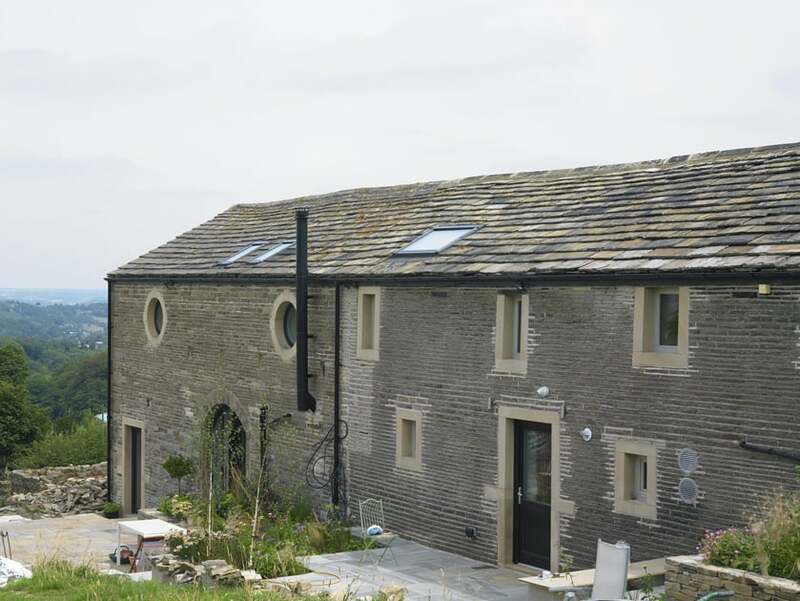 Green Building Store has just published a free technical briefing on its award-winning radical retrofit of a traditional Pennine farmhouse and barn conversion in West Yorkshire, which developed innovative solutions for hard to treat buildings with solid walls. 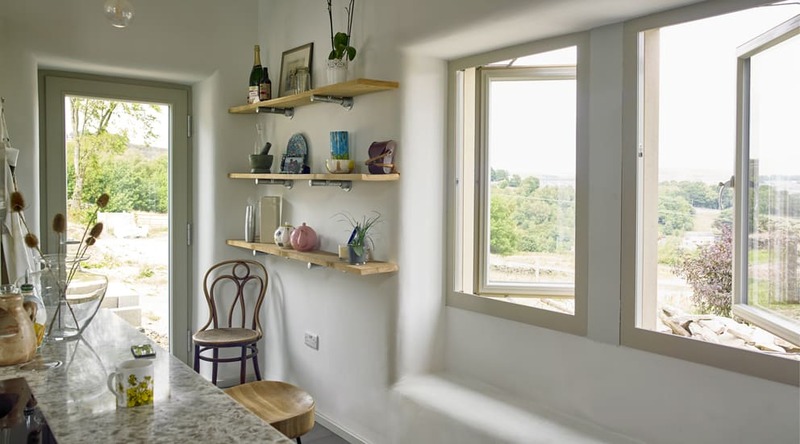 The Lower Royd radical retrofit was modelled using Passivhaus Planning Package to develop a whole house strategy and utilised Passivhaus methodology to achieve optimal energy efficiency and comfort. It involved the innovative use of a cork-based internal wall insulation (IWI) that was vapour open and ‘breathable’ but also had good thermal performance (with a lambda value of 0.045 W/mK) and helped deliver a U value of around 0.36 W/m2K for the walls. The Diathonite internal wall insulation (IWI) is composed of cork, clay, lime and ‘diatomaceous earth’. 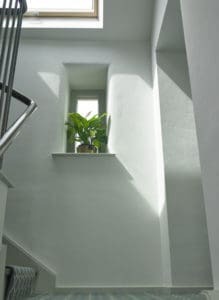 It was ideal for uneven walls of the traditional stone-built farmhouse and barn and was spray-applied to a thickness of 100 mm, a depth previously not trialled for Diathonite IWI. The project won the ‘Vision & Sustainability’ Award at Leeds Beckett University’s R.I.S.E. 2017 Awards. It represents a development in Green Building Store’s understanding of the ‘whole house’ radical retrofit and approaches to minimising moisture risk when using IWI. The project is helping to inform other radical retrofits and ongoing academic research is being undertaken. The technical briefing, aimed at selfbuilders and building professionals, details the measures taken as well as examining both the pros and cons of the approach taken. The project did encounter significant problems and challenges along the way, and these are shared in the technical briefing, offering useful lessons for others involved in attempting similar challenging retrofits.